Montreal is slated to be hit with a blend of confusing winter weather this weekend. Considering the city is currently under day two of a freezing drizzle advisory, things are going to get a tad bonkers in the next 48 hours. 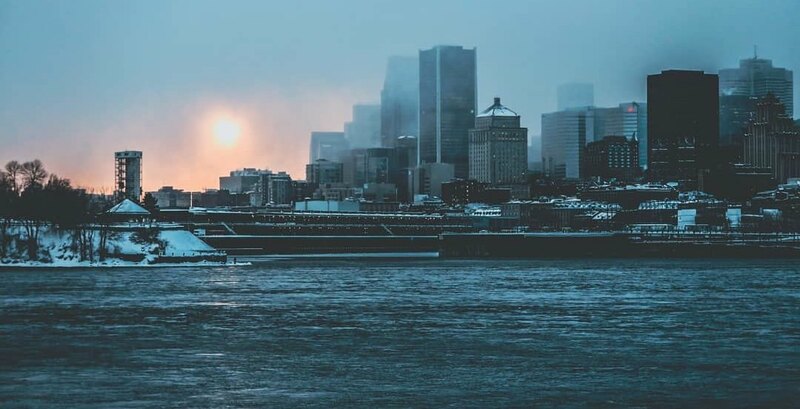 According to The Weather Network, today feels like -11ºC in Montreal and that will increase to feel like 0º by tomorrow, subsiding the freezing rain, before falling back to -19ºC on Saturday. Tomorrow’s expected showers will also bring 60 km/h wind gusts, according to the weather website, before calming to a “mainly sunny” and cold Saturday. 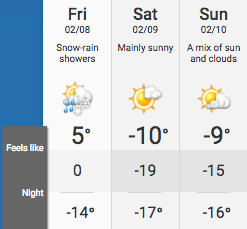 The only consist weather Montreal will feel all weekend is that nighttime temperatures will go from -14ºC, -17ºc and -16ºC on Friday, Saturday and Sunday, respectively. So, if you’re heading out this weekend, we’d recommend packing the Swiss Army knife equivalent of outdoor gear: warm clothes, umbrellas, sunglasses and studded rubber boots.